Throughout the internet data smog of talk shows, TED conferences and feature articles, we have noticed the discussion of “transhumanism,” or the means of using technology to create super humans, in which pitiful biological realities are enhanced by computer superbots. There’s a decent breakdown of Transhumanism on Wikipedia, though it actually bypasses the idea’s philosophical origins when in 1748 the French philosopher Julien Offray de la Mettrie published Man a Machine, a work that bypassed Christian beliefs, reducing man to a biologically determined animal unmoved by moralism. Excerpts from Man a Machine were printed in my Apocalypse Culture compilation back in 1987. 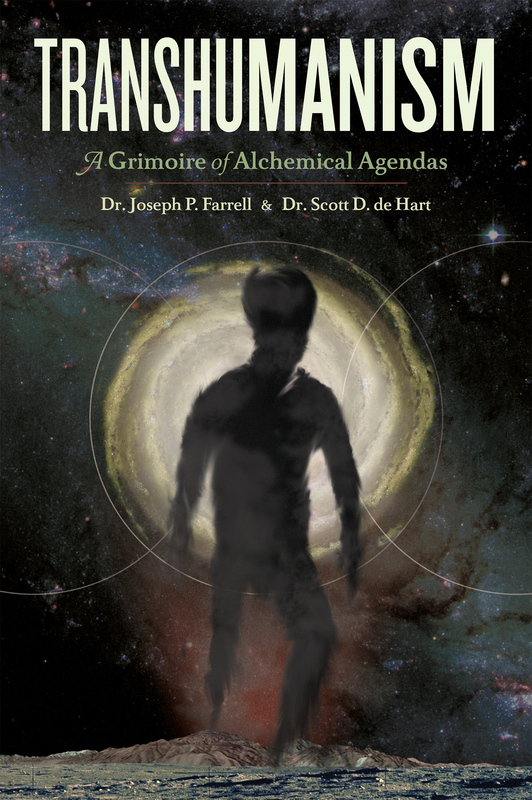 But according to Joseph P. Farrell and Dr. Scott D. deHart’s Transhumanism: A Grimoire of Alchemical Agendas (recently reprinted in a corrected edition that removed typos) transhuman ideas actually reach back millennia further than those of de la Mettrie and the Enlightenment, leading back to Plato and the Vedas. Transhumanism is a fascinating work, and quite relevant to the seemingly sci-fi ideas of Raymond Kurzweil and others who aspire to hasten the techno-God stage of human development. All fellow Luddites must endure the pain of reading the Feral House book on Transhumanism, although scientists are developing ways to implant memories, ideas and information so that the all-too-human can bypass the learning process. Can the transhuman man bypass the destruction of his biosphere and its proposed geo-engineered correction? We’ll have to approach that alchemical agenda some other week. In the meantime, get your copy of Transhumanism here.